Hightide Holidays | real people, real service, real value. real people, real service, real value. Located on 22 hectares, the Mecure Capricorn Resort (Formally Rydges Capricorn Resort) provides contemporary hotel accommodation at Yeppoon, on the Capricorn Coast of Queensland. With its superior service and beachside location, Rydges Capricorn Resort is the ideal choice for both business and leisure travellers. 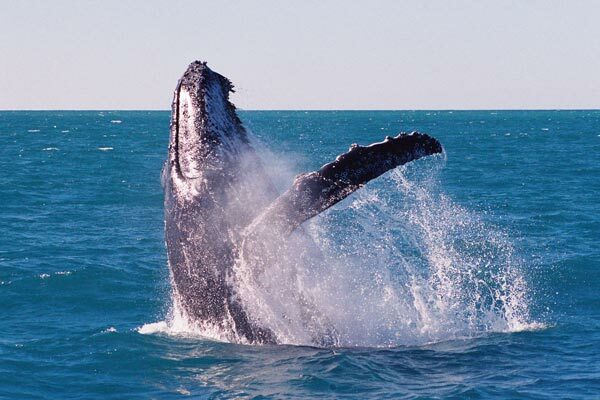 Mecure Capricorn Resort Yeppoon offers a number of well-appointed guest rooms, including Standard, Junior, Ocean View, Capricorn Suite and Two-bedroom Apartment. Each tastefully decorated guest room features an ensuite bathroom, free toiletries, remote televisions and complimentary tea/coffee facilities. Set on 20km of secluded coral reef coastline, the resort offers something for everyone. Hightide Holidays VIP member Julie Canelli enjoyed a family holiday recently and said the resort was perfect for young families and couples alike. Julie say’s “the rooms are a little bit outdated but when your at a resort which has such great facilities, who want’s to be stuck in their room anyway, we loved it”. The resort boasts one of the largest freeform lagoon pools in Australia complete with pool toys, water-slide, poolside bar along with 25 free activities including 9 hole mini-golf, tennis, giant chess board and volleyball. “We hardly even saw the kids, they were in the pool and running around enjoying the facilities the whole time” she said. “My husband and I just relaxed by the pool and enjoyed its others company for a change”. Mecure Capricorn Resort Yeppoon is the gateway to the world heritage wetlands, best described as a mini Kakadu, sub-tropical rainforest and the tropical waters of the Great Barrier Reef. 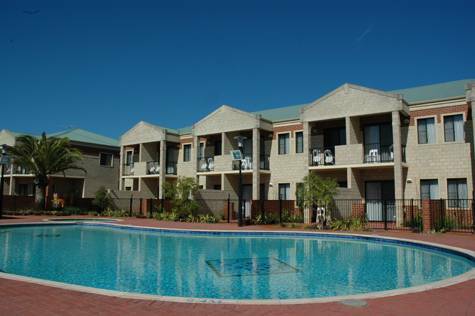 The Resort offers a Shuttle service to and from the Rockhampton Airport. Hightide Holidays offers discounted packages for members only (Hightide VIP Voucher required). Visit http://www.hightide.com.au or call the Hightide Helpline on 1300 769 765 for bookings. To start our WA feature, we thought we should look at some of the great accommodation choices we’ve got available in Perth. It’s a must see for first time visitors to WA. When you come to Perth, Western Australia, make your stay a memorable one with awesome accommodation. In the Perth CBD, the accommodation ranges from international standard hotels, to local pubs and fully self-contained apartments. So check out a Perth city map and book your choice in accommodation now. The range of four and five-star Perth city hotels is enormous. They include the Hyatt Regency, the Mercure, the Hotel Grand Chancellor, Rydges, the Sheraton and the Holiday Inn. Try any of these for top accommodation, with luxurious rooms and well-appointed gyms and pools. All have their own, or are very close to, top class restaurants, allowing you to sample some of the wonderful wines grown locally in the Swan Valley. 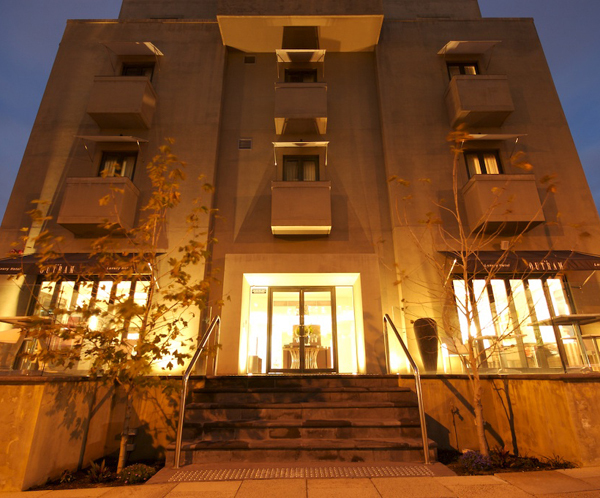 For a boutique hotel in the heart of Perth CBD, with all its top theatre and shopping, try the Seasons of Perth. The Duxton Hotel is close to the Concert Hall and has its own dining at The Grill Restaurant. For families and groups, the Goodearth Hotel has fully-serviced apartments and is close to the WACA for all cricket fans. If you enjoy staying in a family-run hotel in Perth, then the Royal Hotel in Wellington Street is for you. Over in Victoria Avenue, the Aarons All Suite Hotel offers modern apartments with five-star service. If you like a Bed and Breakfast, then head on over to Miss Maud’s Swedish Hotel with its smorgasbord breakfast included in the room rate. 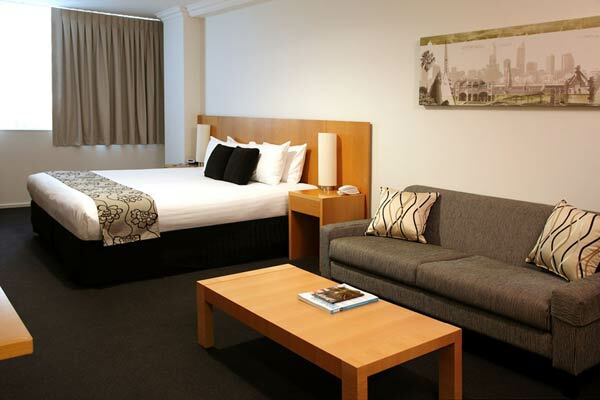 Enjoy the European-style rooms and friendly service in the heart of the Perth CBD. Country Comfort Inter City Hotel Perth in Belmont is located on the Great Eastern Highway midway between Perth Airport and CBD. Offering a complimentary domestic airport shuttle and off-street parking the hotel has a mix of Deluxe Rooms, Serviced Apartments and Townhouses. Relax in the beautiful gardens or enjoy the guest barbecue facilities, childrens playground, swimming pool, gym and sauna. Mantra on Hay is an ideal base for business and leisure travellers visiting the lively city of Perth. Located on the eastern side of Perth’s CBD, Mantra on Hay is within close proximity to several of the city’s major local attractions. Haig Park, the WACA cricket ground, Gloucester Park, Burswood Casino, the sparkling Swan River and lush Queens Gardens are all within easy reach as are Wellington Square and a host of boutique stores for premier shopping. If multicultural cuisine and vibrant bar and nightlife are on your wish list, you will also find Perth’s burgeoning dining precinct a short stroll away. Mantra on Hay consists of hotel rooms and one and two bedroom apartments. All rooms and apartments have been styled to reflect the easy-going, laid-back charm of Perth. Apartments have large balconies, fully-equipped kitchens, bathroom and laundry facilities, lounge and dining areas. Guests will enjoy the on-site leisure facilities including a rooftop swimming pool and gym equipment. Benson’s Restaurant & Bar is conveniently located on-site and is open for breakfast, lunch and dinner daily. Mantra on Murray boasts contemporary style and close proximity to Perth’s CBD offering both business and leisure travellers the perfect vantage point from which to explore Perth or conduct business in the bustling city hub. Mantra on Murray offers 4 star comfort in the heart of Perth and is not only close to the lively CBD, but also the shopping district of Northbridge, Perth’s trendy nightlife and al fresco cafe precinct. Other major attractions including the Convention & Exhibition Centre, Subiaco Oval and Burswood Casino, are also located close by. And for business travellers, St George Terrace office towers and business centre is a mere 1 block away. The property features 192 spacious, fully-equipped studios and suites, including fully-equipped kitchenette, lounge and dining areas. Conference facilities can cater for up to 200 delegates and the convenience of a dedicated Conference Coordinator is on hand to ensure your event, meeting or conference is both organised and successful. Mantra on Murray’s restaurant Bin305.Wine.Food is located on-site and offers guests a tempting menu and quality wine list. Open daily, Bin305.Wine.Food exudes a comfortable, warm ambience, perfect for catching up with friends or relaxing over a delicious meal. Mantra on Murray delivers contemporary, affordable accommodation in the heart of Perth, ideal for business travellers, holiday makers, short-term and long-term guests. Parisian style chic in West Perth. From the magnificent spread presented each morning on the sun drenched breakfast terrace to the club lounge’s sunset hors d’oeuvres, Wyndham Vacation Resorts Perth is a taste of Paris in Uptown Perth. To really see the Magnetic Island you need to stay a few days at the very least, laze under a coconut palm on the warm golden sand and relax – then plunge into cool, clear, blue water. If you come only for a day, then you will probably be planning your next holiday here. The accommodation ranges from budget to luxury. You can spend your holiday relaxing or “living it up” – it’s all here. 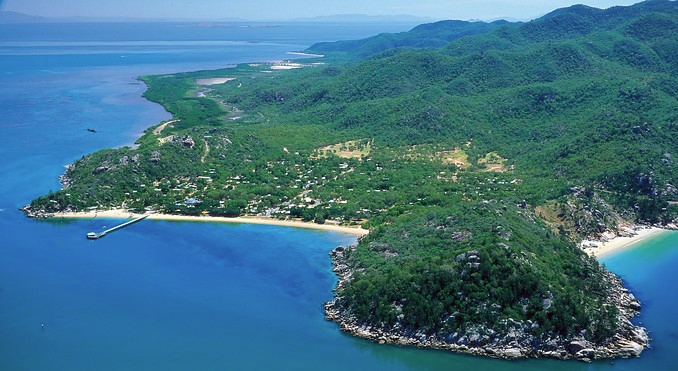 Magnetic Island is just offshore from the city of Townsville, Queensland. The island is accessible from Townsville to Nelly Bay by ferry operated by Sunferries or you can take your car via fantaSea. Magnetic Island is the only island on the North Queensland Coast with a delightful blend of untouched National Park, a resident population of about 2,500 and a variety of holiday resorts. There is a large national park and bird sanctuary and excellent walking tracks can be taken between the populated bays and to a number of tourist destinations such as the World War II forts. Although it’s located in the Tropics, the Townsville area is in a rain shadow which makes it the sunniest city on the Queensland coast (Magnetic Island averages over 320 days of sunshine per year). Just twenty minutes by fast “Cat” across Cleveland Bay from Townsville and you could be in what many consider paradise ! More than half of the Island’s 5,184 hectares is National Park, with Mt.Cook in the centre rising to 497 metres. Tall hoop pines, eucalypt forest and small patches of rainforest soften huge granite boulders. Where the rocky headlands meet the sea many secluded beaches have formed, some may only be reached on foot or by boat. There are 24 kms of walking tracks through the park with many spectacular lookouts. The National Park is a haven for wildlife, like rock wallabies, possums, koalas and a wide variety of bird-life. Not only is there an excellent passenger ferry service, with up to 14 return trips daily, but also a passenger & vehicular ferry (up to 7 return trips daily). The range of activities available on the Island is both wide and varied. Whether young or old, seeking active pursuits or relaxation, there is a selection for everyone. Magnetic Island’s neighboring islands include: Acheron Island, Brisk Island, Fly Island, Havannah Island, Herald Island, Rattlesnake Island, Palm Island. Set in tropical landscaped surrounds with beautiful marina and mountain views, Peppers Blue on Blue redefines the essence of island holidays on Queensland’s magical Magnetic Island. Peppers Blue on Blue Resort is positioned on the water’s edge in the heart of a new waterfront precinct which includes its own marina for guests to soak up a supremely nautical atmosphere. Located on Magnetic Island, only minutes by car from the ferry landing. 20 minutes by ferry from Townsville to Magnetic Island, regular ferry transport. Pleasant island with good beaches and a lot of wildlife. With a hill location, native animals often wonder around. Now winter’s nearly here, it’s time to get in early and start booking your winter wonderland holiday! If you’re into skiing and you’ve visited a few slopes, but haven’t been local, then the time is right to support the Aussie ski fields and parallel your way to one of our fantastic ski fields. The Snowy Mountains, known locally as “The Snowies”, are Australia’s highest mountain range and are located in southern New South Wales. 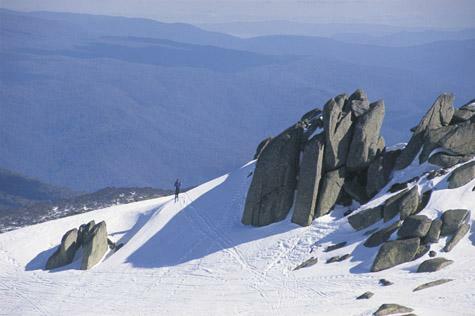 The Snowy Mountains contain Australian mainland’s highest mountain, Mount Kosciuszko. Snow normally falls the most during June, July and Early August. A lot of people choose to stay in Cooma, a town in the south of New South Wales. Cooma is located 115 km south of Canberra, via the Monaro Highway and is the main town of the Monaro region. Cooma has developed a growing tourism industry, as it became the main rest stop for many travellers heading to the NSW snowfields during the winter months. As a result, the town nicknamed itself the ‘Gateway to the Snowy Mountains’. Cooma is serviced by Cooma – Snowy Mountains Airport, which is 15 kilometres from the CBD. Cooma has a bus service connecting various areas of town three times a day run by Cooma Coaches. Cooma is serviced by CountryLink buses which make daily journeys to both Canberra and the Bega Valley. Contact Hightide for exclusive Snowy Mountain accommodation packages…turn that Brrrrr into a thrill and experience the wonders that await at the Snowies. Makes Mum’s Day! Get her what she really wants this year… a holiday! Are you stuck for the perfect Mother’s Day gift? We know. It’s tough getting the perfect prezzie that shows mum, just how much she means to you. There’s a plethora of mumsy gifts out there from a pair of fluffy slippers and matching dressing gown to a bottle of perfume and some soap. You know she’ll look adoringly at you and the grandkids, smile and thank you profusely, but there’s always something there in her smile that says…what I’d really like is ………….? Doh! If only she’d spill the beans a bit earlier, if only she’d give us a clue as to what would make her smile, absolutely 100 per cent genuine! So, here’s our idea, why not get her the perfume or hand cream but with an extra note to check out Hightide Holidays for her real present, where she can take her fancy soap along with her! Give mum the gift of a fabulous holiday to really put a smile on her dial. With Hightide Holidays, you can get some amazingly Hot Deals that won’t break the bank. If you’ve got siblings (and maybe dad too) then you can all pitch in and get mum a little trip away to soothe he soul. What more could a mother ask for? We love all the mums at Hightide Holidays. Show yours how much you care too! Call us today on 1300 769 765 and let one of our friendly consultants help you to find the perfect getaway for mum. 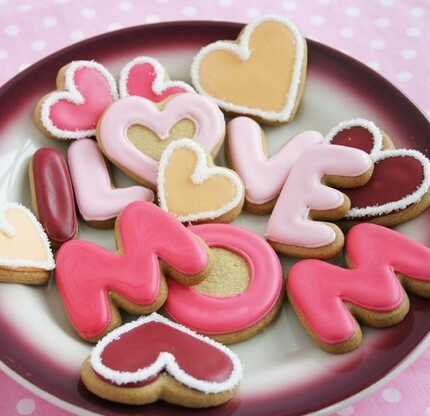 Do not wait another second, call today on 1300 769 765 and we’ll deliver the ultimate gift for your mum. If you’re after something different, take a tour to Australia’s capital city? Surprisingly, there’s so much to see and do at this diverse location. 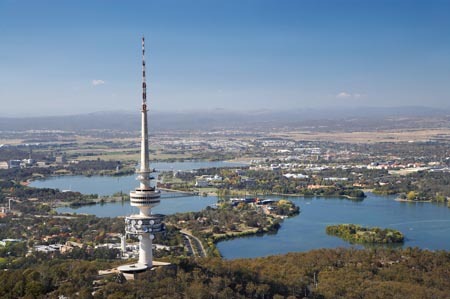 Canberra is Australia’s capital city and similar to The Truman Show, it is custom-built. Canberra has a varying range of museums and attractions you would hope from any capital city, but they are all excellent. It also has an enticing blend of indoor and outdoor attractions that are bound to suit everyone in the family. If you are into food, then Canberra offers an array of stylish restaurants, bars, boutiques and shops where you can sample local delicacies and produce. You wouldn’t have thought so, but Canberra is rumoured to have the most restaurants per capita than any other Australian city, so you certainly won’t be stuck for choice! Perhaps the public servants eat out a lot? Museum lovers will be delighted by the choices on offer in Canberra. Get up close and personal with prehistoric creatures at the National Dinosaur Museum or visit Canberra Museum and Gallery for visual arts and social history. If you’re children, like most, are into science, then harness those thoughts and visit Questacon – a Science Centre like no other in Australia. You could look at a 3infun ticket that gives you entry to Questacon, the Australian Institute of Sport (AIS) and Cockington Green all for one discounted price. 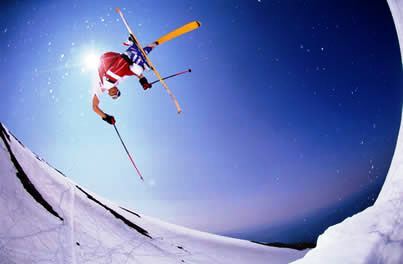 If you like to get out and about when on holiday, Canberra holds an array of outdoor options. The Australian Alps National Parks, Tidbinbilla Nature Reserve and the Snowy Mountains are all within easy driving distance from Canberra. You’re able to explore cycle paths, hiking trails, outdoor sports and an abundance of flora and fauna. Contact Hightide Holidays for further information on Canberra and get expert advice on where to stay and what to do. Folks, there’s only one place to visit if you’re looking for an amazing Australian holiday destination full of culture, fine dining and all the civilization you can stomach! I’m talking of course about gorgeous Victoria… the place to be. This beautiful state has it all… beautiful beaches, breathtaking nature, pulsating nightlife, great food, excellent culture, and lively modern day trends. Victoria is a vast state and choosing the right holiday destination can be truly difficult. We simply cannot go past Vic’s amazing Melbourne. Victoria’s magical capital Melbourne, offers so many wonderful holiday opportunities for the whole family. Sightseeing makes an amazing experience as the city contains so many incredible museums and galleries that will enchant that art lover in you. Visit some of the popular local spots like the Australian Center for Contemporary Art, City Square and Observation Deck. Be sure to enjoy great shopping and dining opportunities – in fact this is one of the reasons this city is so famous! When it comes to food, you haven’t lived until you’ve experienced all the dining Melbourne has to offer. 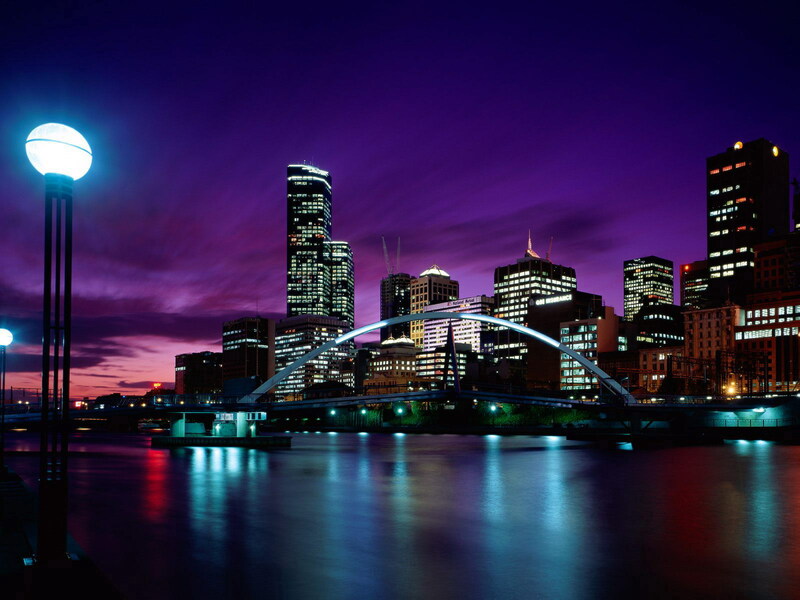 From little Italian coffee houses to five star restaurants, Melbourne will be sure to delight your tastebuds. You’ll find a myriad of options to enjoy leisure and recreation. The city is also full of some great accommodation where you can comfortably lay yourself to rest after a fun filled day spent pounding the streets. A visit to Melbourne is never complete without touring the Great Ocean Road. 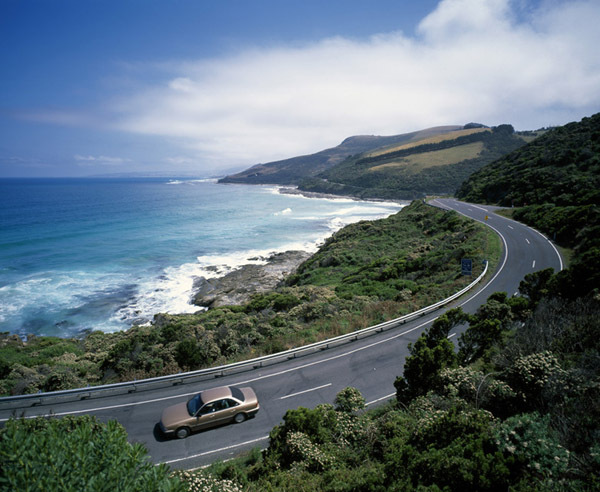 It’s one of the world’s most scenic coastal drives. Be thrilled by the magnificent rock formations, iconic surf breaks, rocky terrain, and breathtaking waterfalls all along your trip. Impressive beaches are sure to lure you on your escape. Guided tours are also available for those of you who prefer not to go it alone. 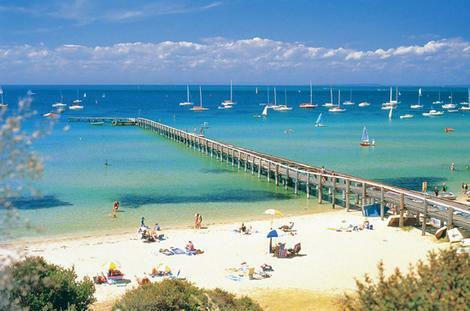 An hour drive from Melbourne takes you to another charming destination known as the Mornington Peninsula. Explore the spas, galleries and cafes in the breezy coastal towns. Treat your palate with the best of local sea and farm-fresh produce. Boutique wineries are also abundant in the region. As you can see, travelers to Victoria will never fall short of activities, dining and accommodation options. Take a break and enjoy everything you could in this fantastic, exciting holiday destination! Of course if you need help booking your Melbourne trip, visit Hightide Holidays or give us a call on 1300 769 765 to find out more. 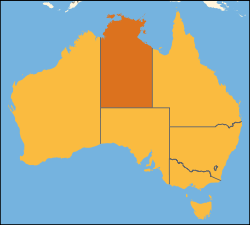 The Northern Territory is well-known for occupying about one sixth of Australia’s total land mass. Its size is equivalent to the size of France, Italy and Spain when combined and is home to many national parks that never fail to entice nature lovers.Very under-rated, the Northern Territory is has some of the most beautiful nature Australia has to offer. If you want to explore the Kakadu National Park, Tiwi Islands and Arnhem Land, an ideal base for you would be Darwin. Keep in mind when planning your trip is that Darwin also contains a number of attractions on its own. Visit the Museum and Art Gallery of the Northern Territory at Darwin. Other must-see places include Darwin Entertainment Center, Skycity Darwin, Indo-Pacific Marine & Australian Pearling Exhibition, East Point Military Museum, Brown’s Mart and more. Darwin Festival and Darwin Fringe Festival are two annual events in the city. For an eclectic nightlife, make your way out to Michelle Street in the CBD. This is the city’s main entertainment hub. For beach lovers, the Casuarina Beach and the Mindil Beach are great afternoon spots. Meanwhile, nature lovers will also be stunned by the city’s extensive collection of parks and gardens. 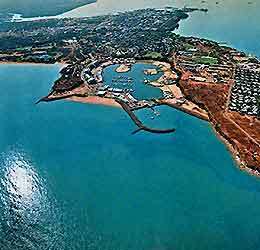 Some of these include Charles Darwin National Park, East Point Reserve and the George Brown Darwin Botanic Gardens. If you want to extend your trip, visit Alice Springs in the outback. You will need at least a few days to savor the best of this very enchanting destination. While the place is sparsely populated, you can still find some great accommodation in the area. 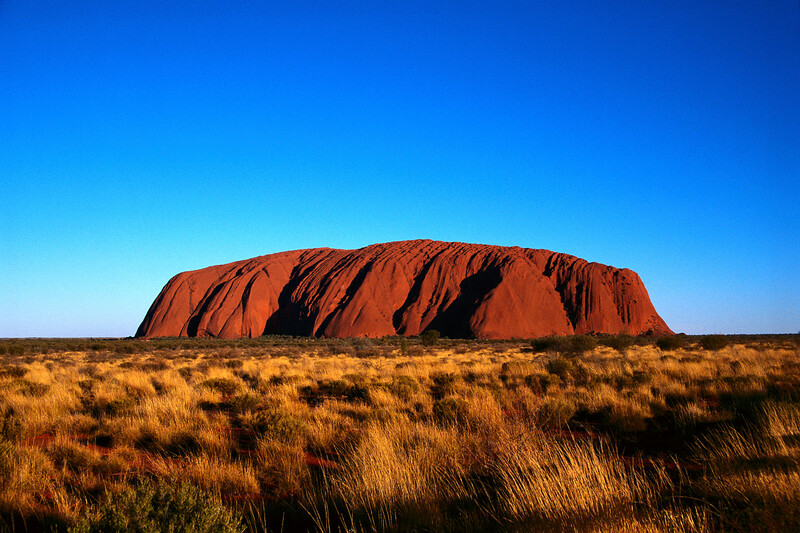 Ayers Rock, and Uluru is perhaps the major attraction in Alice Springs with not only cultural significance but for some, religious significance. Many believe that you can have a profoundly spiritual experience at this site. As far as transport goes, busses are available to take you to the area. Other attractions include Museum of Central Australia, The Aralauen Centre and Old Stuart Town Goal. Quite obviously, there are many fascinating places to visit in Australia. But for a laid-back holiday and a true Aussie experience, visit North Territory and experience all the wonders yourself! For something different, consider a holiday to some place you’ve never been. Sometimes you go to a place to experience the culture and its history. Sometimes you go to places just for the sheer enjoyment of it, especially when you’re with your family and you want to do so many activities together. There are still those holidays where you all just want to relax and take it easy and let the frenetic pace of the city leave you. If you’re looking for a destination that offers relaxation, adventure and pure outdoor fun, check out Coffs Harbour located on the east coast of Australia between Sydney and Brisbane although it’s part of the area called Coffs Coast, also known as the North Coast of New South Wales. What can you expect when you get to Coffs Harbour? First, since Coffs Harbour is located on the coast, you can expect some of the best beaches to swim in. Along the breakwater of the harbor, people take their time admiring the view and the breathing the fresh air. The meandering path leads to Muttonbird Island Nature Reserve that sits on the hill overlooking the marina. You’ll also find a number of cafes and restaurants along the Harbour on the Jetty Strip. There are also shops and malls within the city center and just a few minutes away from the harbor. Be sure to check out the riverside town of Bellingen. Nestled in the heart of the green and lush Bellinger Valley between the coast and the Dorrigo Plateau on the scenic Waterfall Way. Home to a large number of people who moved there to enjoy a laid-back and creative, artistic or alternative lifestyle, Bellingen is buzzing with markets, cafés, galleries, festivals and events. It is the wonderful combination of Bellingen’s turn-of-the-century ‘main street’ village atmosphere, rich architectural heritage, rural charm, bohemian atmosphere and thriving cosmopolitan culture that seems to capture people’s hearts. The beautifully restored timber, stone and iron lace Hammond & Wheatley Emporium dominates the townscape. It shares the main street with an equally beautifully renovated country pub – the Federal Hotel – and eclectic shops and boutiques, clothing and general stores, bakeries and award-winning cafés and restaurants. The Old Butter Factory, more than a century old, now houses a range of art, craft and gift shops in a garden atmosphere. Its café looks out onto the green open spaces of the local golf course and borders the Bellinger River that traverses the town. With around 250 stalls and live music, the monthly Bellingen Community Markets always attract great crowds. The Jazz & Blues Festival and the Global Carnival are just two of the many festivals and events that liven up the town throughout the year, while you can catch live entertainment in pubs and clubs every week. Because Bellingen is a fabulous place to live it up and lap up the good life – think private luxury guesthouses, health retreats, superb dining options and day spas – the place is also a favourite romantic destination for couples and makes a great girls’ getaway. To enjoy all these activities, you need to stay in accommodations luxurious enough to pamper you but also comfortable enough as to be practical for the whole family. You won’t be disappointed when you stay at either Bangalow Waters, Smugglers on the Beach or Wyndham Coffs Harbor. Any of these lodgings are perfect getaways to suit your taste and budget. Visit Hightide Holidays or give us a call on 1300 769 765 to find out more. If you’re in the market for a beach holiday, then there’s nothing better out there than a trip to Australia’s Gold Coast in Queensland. The Gold Coast is a popular tourist destination because it’s famous for having almost 60 kilometers of coastline to play around in. Swimming, surfing and simply laying around in the sun on patrolled sunny beaches are a real attraction for a lot of people. But there’s more in store for the well-travelled tourist. With some of the most pristine beaches and coastline in the world at your door step, expect to enter a wonderland of a tropical destination with sunny skies, surfing destinations, food to satisfy every palate, accommodations to suit every budget, shopping that can leave you exhausted and a sparkling nightlife just enough to revive it again. 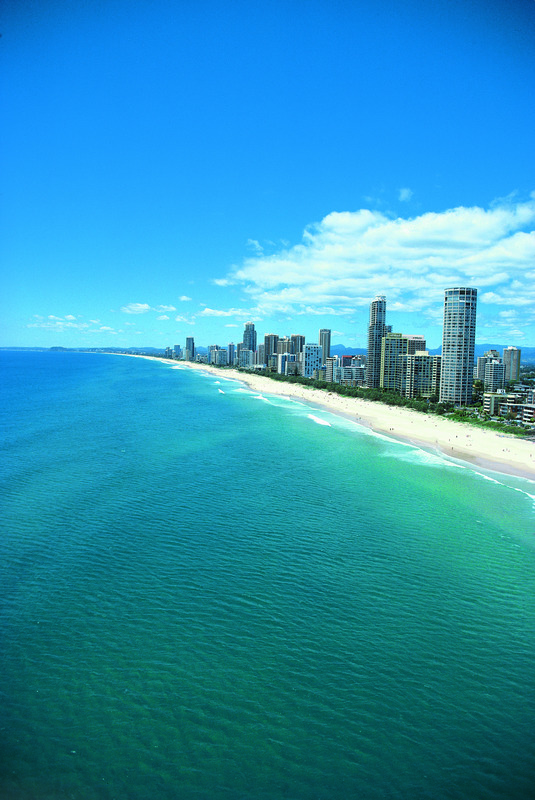 If beaches are your thing, then you can’t go wrong when you visit of Surfers Paradise, Broadbeach and Main Beach. Here you’ll find all sorts of accommodation from the top of the line, ultra-luxurious hotels and high-rises to beachside cottages that are great for families and groups of friends. There are as many as 35 patrolled beaches along the coastline so you can feel rest assured that someone’s looking out for you in the water. Adventurous tourists can satisfy their thrill-seeking tastes by hiking and exploring the Gold Coast Hinterland. There are also several theme parks just north of the Gold Coast that will weaken your knees with all the rolling, flying and spinning that you can do on the rides. Shopping fanatics can lose their minds over everything from designer clothes in exclusive boutiques to knickknacks available from the local shopping markets. Food lovers will never have to worry about satisfying their cravings because there are so many choices for everybody -cafes, restaurants and beachside diners are all available to tantalise your taste buds. Contact Hightide Holidays for a sweet deal on the Gold Coast today.